I wish I was the idyllic traveller – someone who plans every trip with several weeks to get the best deals, information and optimum timing. But I’m not. I’m very organized and try to make plans, but I’m also not in complete control of my travel schedule. That’s the life I’ve chosen – where assignments can arrive in my email inbox and I will head off to an airport or train station in a few weeks, the next week or sometimes, the next day. I want to narrow my focus as a travel writer – and advice given to me year’s ago has stayed with me to avoid being a generalist and to focus on being a specialist. So I make my intent public in hopes that I can fulfill – to focus on arts & culture. From traditional art galleries to the back alleys of cities for street art, I’m fixating on the visual arts. As for culture – its such a broad meaning, which will help me encompass cuisine, cocktails, adventure, shopping – focused on what’s new, local, sustainable and unique. I’ve always believed that people travel to find multiple things – whether its beautiful landscape, to see unique wildlife or to learn about local culture. As I continue to traverse the planet for these experiences, I will continue to share them here – but it will be in a haphazard way. I promise to keep it fun and informative, but it won’t be a publishing program that is strictly planned. 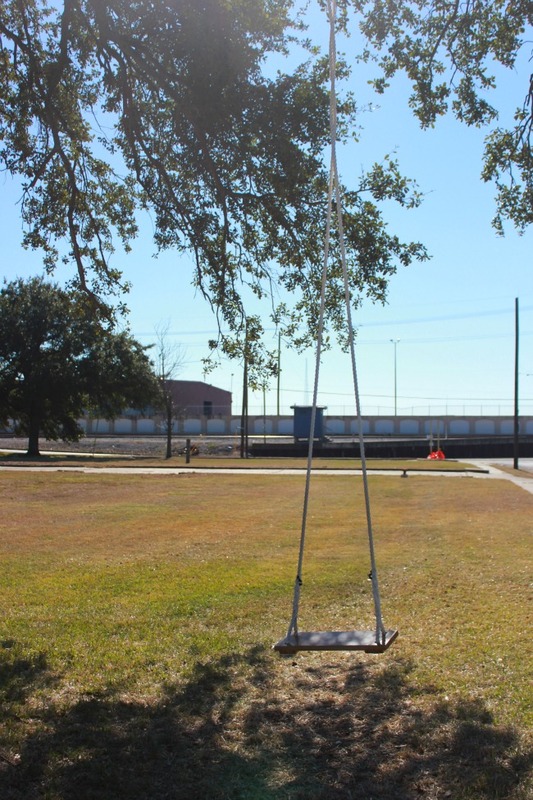 Like this swing I spotted in the Bywater district of New Orleans – it was discovered. I hope I can show you my discoveries in 2014.